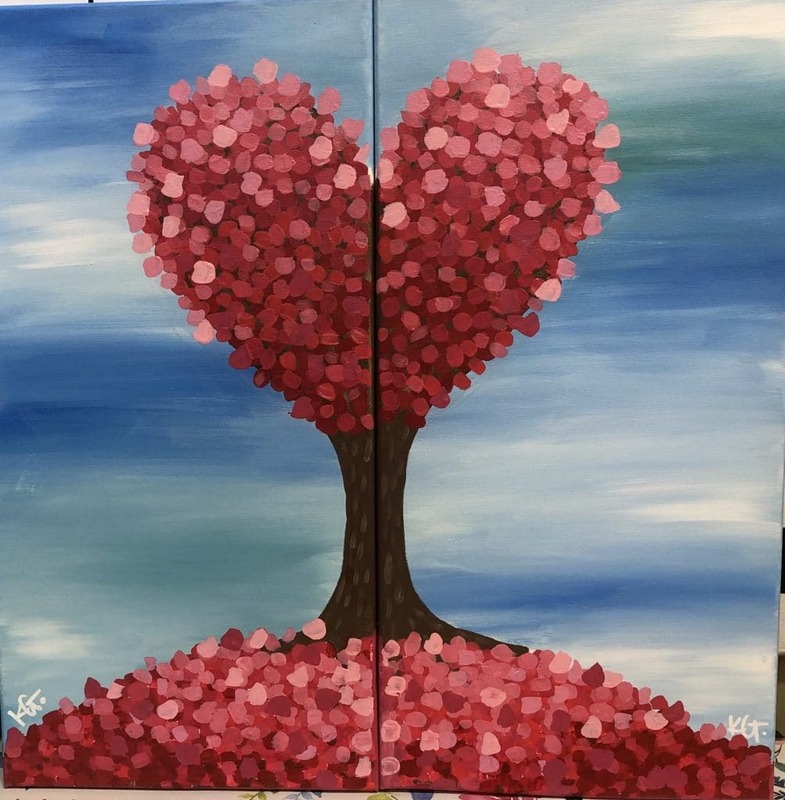 Grab your sweetheart and join us for a fun filled event just in time for Valentines. We will give you step-by-step instructions and you will leave with your very own masterpiece. This is 2 separate canvases, one for you and one for your sweetheart. Bring your favorite beverage and snacks to enjoy while you’re painting. This price is for one couple so no need to sign up individually.